One of many attractions in Oregon is Multnomah Falls. Multnomah Falls is the highest waterfall in Oregon and the second highest in the nation. While visiting the Multnomah Falls you'll have the opportunity to hike up to the top of the waterfalls, take in the view from Benson Bridge or you can stay at the bottom and enjoy the view from the Multnomah Falls Lodge. Multnomah Falls Lodge is the place for dining if you're looking for a place to eat with fresh local Northwest style cuisine. 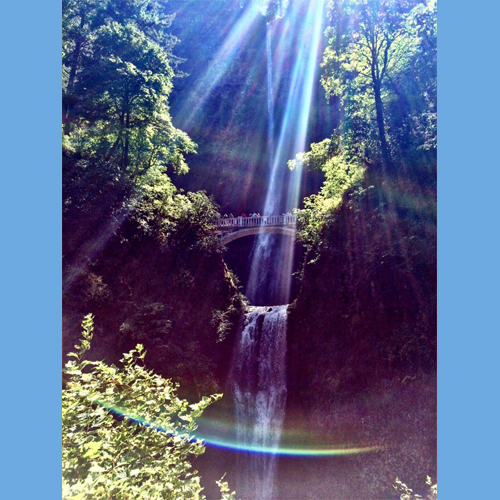 Read a Yelp review of Multnomah Falls below. Breathtaking views. The waterfalls are so beautiful. The mist was spraying so much when we visited that it was amazing. I enjoyed walking up to the varying levels of viewing-points. Be prepared to take a light sweater at cooler times of the year, and also be prepared for a lot of people. It may take you a couple tries when it comes to finding a parking spot. But it is worth it - especially Multnomah Falls!